In recent times, we’ve explored the various revenue streams associated with SVOD services, in addition to ways a provider can attract and sustain loyal subscribers in today’s competitive climate. Now, the latest development in the world of online content consumption is the subscription video app. 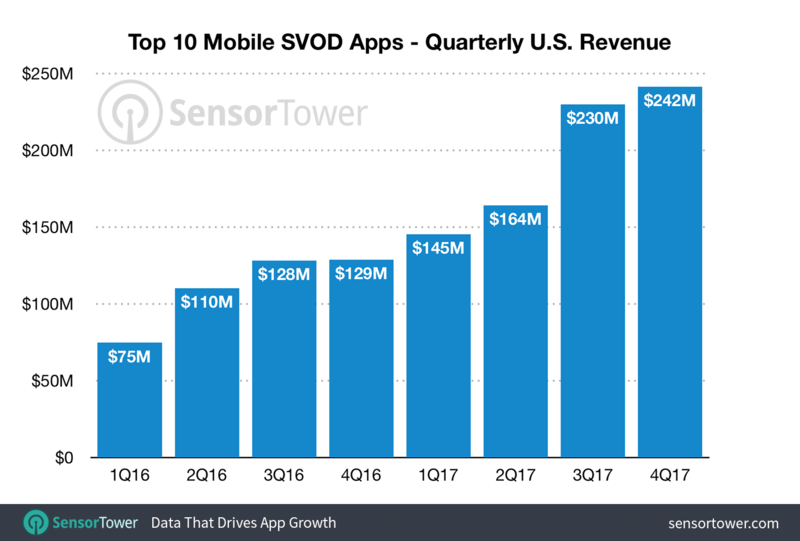 A recent study from Sensor Tower suggests that revenue from the market’s top subscription video on demand apps rose by 77% last year in the USA alone, equating to a whopping $781 million in consumer spending. It will perhaps come to an as little surprise, but the highest grossing SVOD app of 2017 was Netflix’s streaming application, with a 113% growth that totaled at a little over $290 million. But, concerning growth, Netflix was outperformed by three of its app-based competitors: CBS at 128%, Starz at 147%, and YouTube at 154%. Apps are surging in the live video segment, too. Last week, the ONE Championship announced the launch of its new mobile app and aims to challenge the UFC Fight Pass in North America. From these findings, it’s clear the in-app purchases are on the up as they suit today’s hyper-connected consumer mindset perfectly. 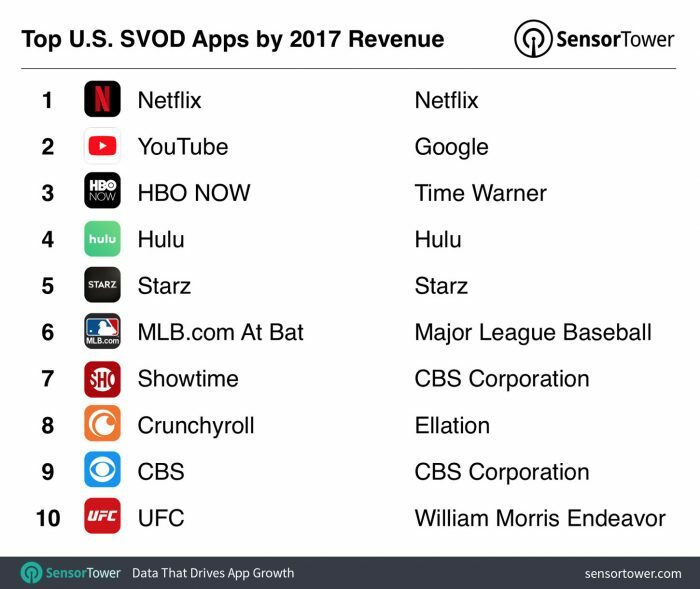 Mass usage has pushed the SVOD app into new and exciting heights, making it one of the most valuable revenue streams available to a provider in 2018, and beyond. Spending in-app is growing exponentially and broadcasters are rushing to milk that opportunity. By providing unique content, flexible offers and a seamless user experience, it’s possible for forward-thinking SVOD providers to not only boost profits but encourage brand loyalty – and at present, that’s one of the most potent ways to enjoy a bright and prosperous commercial future.